WHOIS Running the Internet is the first book dedicated the study of WHOIS and related Internet records. WHOIS is a hotly debated but poorly understood subject. This text discusses the evolution of WHOIS and how policy changes will affect WHOIS’ place in telecommunications today and in the future. The book provides a comprehensive overview of WHOIS, beginning with an introduction to WHOIS and an in-depth coverage of its forty-year history. We then examine how to use WHOIS and how WHOIS fits in the overall structure of the Domain Name System (DNS). Other technical topics covered include investigations, research, WHOIS query code and WHOIS server details. The book also discusses current policy developments and implementations, reviews critical policy documents, and explains how they will affect the future of the Internet and WHOIS. While technical, this is intended to make the subject available to everyone. Each point on the Internet (domains, IP addresses) has a record that details who is (get it?) responsible for a resource. WHOIS generally refers to the system of records behind various Internet resources. WHOIS records can be queried through software that retrieves the record data from databases on specific servers. Records and related services are defined through Internet policy. If you have ever needed to find out who owns the domain behind a website or the Internet Protocol address, WHOIS is the method for obtaining this information. Communication is based on trust and trust emerges from identification. Whether you are responding to an email, clicking on a website link, or making an online purchase understanding who is on on the other end is critical to building a foundation of trust. For abuse handlers and cybercrime investigators, WHOIS is an invaluable tool. Commerce and the exchange of ideas require trusted communication. For some, modern communications provide opportunities to remain anonymous and for others to have the privacy violated. In the real world, interactions are more civil when people can identify the persons and entities they are dealing with. Below there are four deeper topics within WHOIS, but if you have never used WHOIS, start with a simple example: click this link to see the WHOIS record for UN.ORG, the domain for the United Nations. Purchase WHOIS Running the Internet? 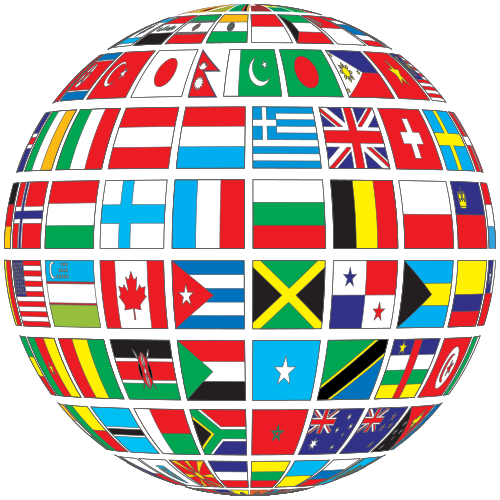 WHOIS data is stored in thousands of different locations. Getting the right data from the right place requires knowledge and time. These websites and applications can retrieve WHOIS data from the right source. Buy WHOIS Running the Internet? Published by Wiley, WHOIS Running the Internet? is available through Amazon and as online book from the publisher. If you are interested in using this text for a college course or for professional training, please contact me for assistance. WHOIS programs vary widely in their abilities and complexity. However the fundamental function of any WHOIS code is the creation of a network socket which usually accesses remote server WHOIS database through Port 43. Based on this, nearly any programming language which allows the creation of a socket, either through a language library or raw code, has the ability to query remote WHOIS servers. The earliest such programs were written in pure machine language and have since been created in C, C++, Perl, Java, Python, Lisp, etc. Some code needs to be complied and other code can run on particular systems and others require a web browser. Blocks IP addresses are assigned by the 5 Regional Registries (RIRs) by the Internet Assigned Numbers Authority (IANA). The first step in researching IP addresses is to check the IANA WHOIS (whois.iana.org) server to see which RIR has the range which contains the number. For example, the IP address for CNN.COM is 157.166.226.26. The IANA WHOIS record will indicate that the number is Administered by ARIN The ARIN WHOIS database (whois.arin.net) will provide more specific information about the IP address and who the provider and or owner is. Internet Protocol Version 6 (IPv6) addresses are formated differently but can be queried through WHOIS the same way. If you are using a Unix-based system or an Apple computer, you should have access to WHOIS on the command line by default. Simply open a terminal window and type whois to test. Entering man whois will open the WHOIS manaul and show all the available options. Windows systems usually do not have WHOIS pre-installed, but WHOIS can be added by installing one of the packages listed above on this page. The beauty of command line WHOIS is it allows you direct your query to a specific server and then to store and manipulate the output. Adding scripting to WHOIS or creating custom WHOIS code can make this powerful tool even more so. If you have never used a command line environment use one of these tutorials to help: Linux, Mac, or Windows DOS. 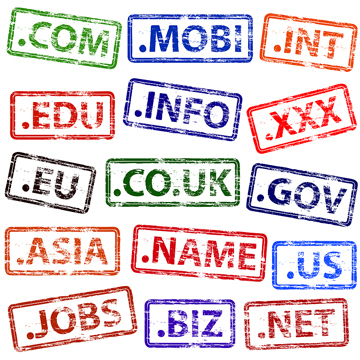 Second-Level Domains (SLD) are sub-registries within what would otherwise just be a single domain name. Some are unofficial or unathorized. These sub-registries have their own WHOIS databases. For example, the WHOIS record for de.com would be completely different from the record for books.de.com and found in a different location. Registrars accredited through ICANN must serve WHOIS for the domains they sponsor. While the top-level gTLD registries each have their own WHOIS database servers, the registrar servers provide additional information. In the cases of .COM and .NET, the registry server may not supply the full information which means the full WHOIS record can only be obtained from the registrar WHOIS server. whois.1hostcanada.com	 ! #1 HOST CANADA, INC.
whois.getdomainsiwant.ca	 2003300 ONTARIO INC. DBA GETDOMAINSIWANT.CA INTERNET SERVICES CORP.
whois.nic-name.ca	 3597245 CANADA INC. DBA NIC-NAME INTERNET SERVICE CORP.
whois.namesystem.com	 A TECHNOLOGY COMPANY, INC.
whois.aitdomains.com	 ADVANCED INTERNET TECHNOLOGIES, INC.
whois.aerotek.com.tr	 AEROTEK BILISIM TAAHUT SANAYI VE TICARET LTD STI. whois.alantron.com	 ALANTRON BILISIM LTD STI. whois.answerable.com	 ANSWERABLE.COM (I) PVT. LTD.
whois.cihost.com	 C I HOST INC.
whois.west263.com	 CHENGDU WEST DIMENSION DIGITAL TECHNOLOGY CO., LTD.
whois.corporatedomains.com	 CSC CORPORATE DOMAINS, INC.
whois.domaincentral.com.au	 DOMAIN CENTRAL AUSTRALIA PTY LTD.
whois.domainthenet.com	 DOMAIN THE NET TECHNOLOGIES LTD.
whois.ename.com	 ENAME TECHNOLOGY CO. LTD.
whois.communigal.net	 GAL COMMUNICATION (COMMUNIGAL) LTD.
whois.gooddomainregistry.com	 GOOD DOMAIN REGISTRY PVT LTD.
whois.gzidc.com	 GUANGDONG JINWANBANG TECHNOLOGY INVESTMENT CO. LTD.
whois.eb.com.cn	 HANGZHOU DIANSHANG INTERNET TECHNOLOGY CO., LTD.
grs-whois.hichina.com	 HICHINA ZHICHENG TECHNOLOGY LTD.
whois.cn.hooyoo.com	 HOOYOO INFORMATION TECHNOLOGY CO.LTD. whois.domainsrs.com	 INDIALINKS WEB HOSTING PVT.LTD. whois.instra.net	 INSTRA CORPORATION PTY, LTD.
whois.internetworks.com	 INTERNET NETWORKS S.A. DE C.V.
whois.isregistrar.com	 INTERNET SERVICE REGISTRAR, INC.
whois.suempresa.com	 INTERPLANET, S.A DE C.V.
whois.jprs.jp	 JAPAN REGISTRY SERVICES CO., LTD.
whois.ksdom.kr	 KOREA SERVER HOSTING INC.
whois.kuwaitnet.net	 KUWAITNET GENERAL TRADING CO.
whois.communigal.net	 NANJING IMPERIOSUS TECHNOLOGY CO. LTD.
whois.nicproxy.com	 NICS TELEKOMUNIKASYON TICARET LTD.STI. whois.nomer.com.br	 NOMER REGISTRO DE DOMINIO E HOSPEDAGEM DE SITES LTDA. whois.othelloreg.net	 OTHELLO TECHNOLOGY SYSTEMS LTD.
whois.powerbrandcenter.com	 POWER BRAND CENTER CORP.
whois.register.com	 RANGER REGISTRATION (MADEIRA) LLC. whois.sdsns.com	 SAMJUNG DATA SERVICE CO., LTD.
whois.oray.com	 SHANGHAI BEST ORAY INFORMATION ST CO. LTD.
whois.cndns.com	 SHANGHAI MEICHENG TECHNOLOGY INFORMATION DEVELOPMENT CO., LTD.
whois.yovole.com	 SHANGHAI YOVOLE NETWORKS INC.
whois.sibername.com	 SIBERNAME INTERNET AND SOFTWARE TECHNOLOGIES INC.
whois.serveisweb.com	 SW HOSTING COMMUNICATIONS TECHNOLOGIES, S.L. whois.distributeit.com.au	 TPP WHOLESALE PTY LTD.
whois.myobnet.com	 UBER AUSTRALIA E1 PTY LTD.
whois.dfordomains.com	 WEB WERKS INDIA PVT. LTD.
whois.webair.com	 WEBAIR INTERNET DEVELOPMENT, INC.
whois.cnolnic.com	 XIAMEN CHINASOURCE INTERNET SERVICE CO., LTD.